The GI Joe "C.Q." Convertible Quarters is the rarest store exclusive of the military era. Sold through the 1966 Montgomery Ward 'Talk of the Town' Christmas catalog, the C.Q. 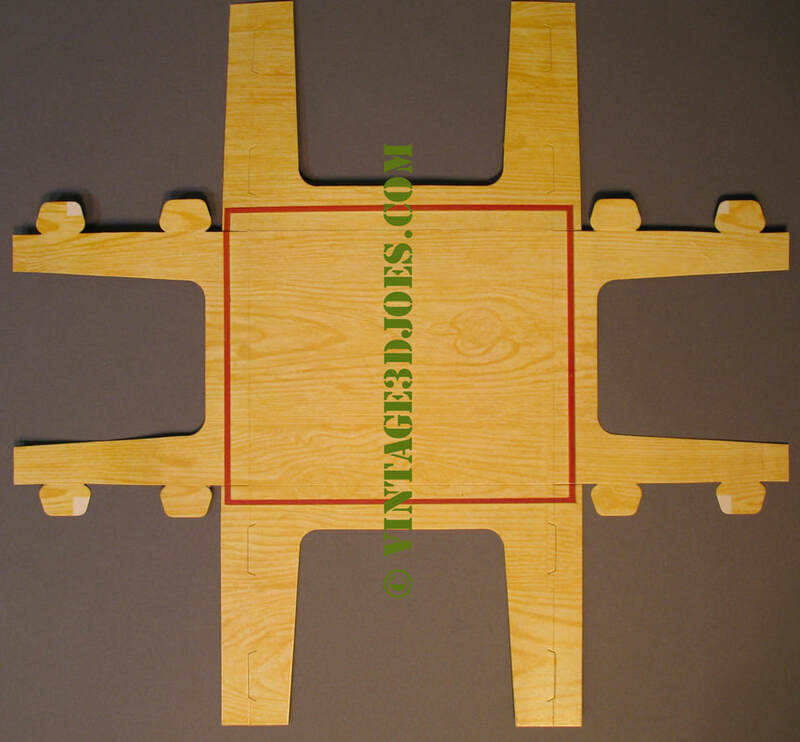 rarely survives because it was made of the cheapest materials and was designed to be cut apart for play. 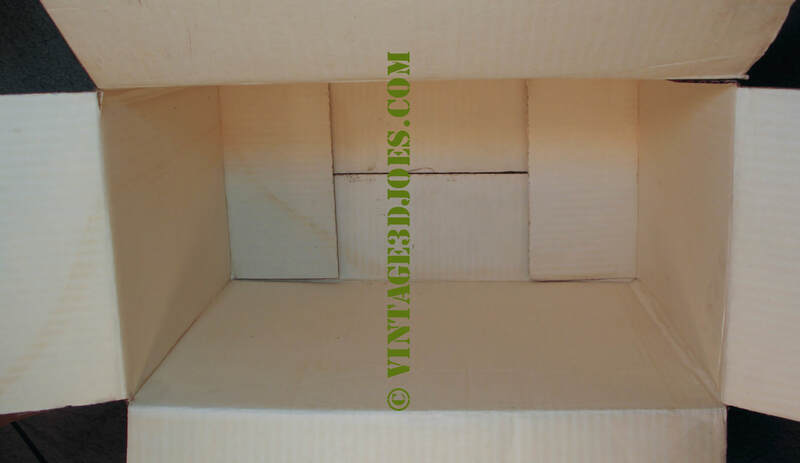 The corrugated shipping box itself became the C.Q. building, and was decorated in five different configurations with pasteboard punch-outs that were attached to the white interior walls with provided plastic pushpins. Also included was a selection of G.I. Joe gear. Some of the contents are conjectural at this point, so the list below is a best guess at the accessories based on the catalog description and photos, which are not always 100% reliable. Above, the 1966 Wards "Talk of the Town" catalog ad for the set. "G.I. Joe "C.Q." Convertible Quarters...barracks (shown) converts to all the small views above. Over 40 interchangeable pieces. Set up Field Hospital with operating table, eye chart, stretcher, crutches; Stockade with window bars; Communications post with field radio, telephone, maps; General Headquarters Command with wall maps. Fiberboard." Below, an enlargement of the four configurations beside the barracks. Field Hospital appears to have a stretcher, i.v. bottle, two crutches, and possibly bandages as added accessories. POW uses only a bunk bed. Communications post features a field phone, map and paces on the table and what seems to the the wire roll on the floor near the left wall. Headquarters command has a small item standing near the bench on the right which may be a map case. The main barracks photo features a duffel bag, rifle, and bunk bed. Below, the C.Q. 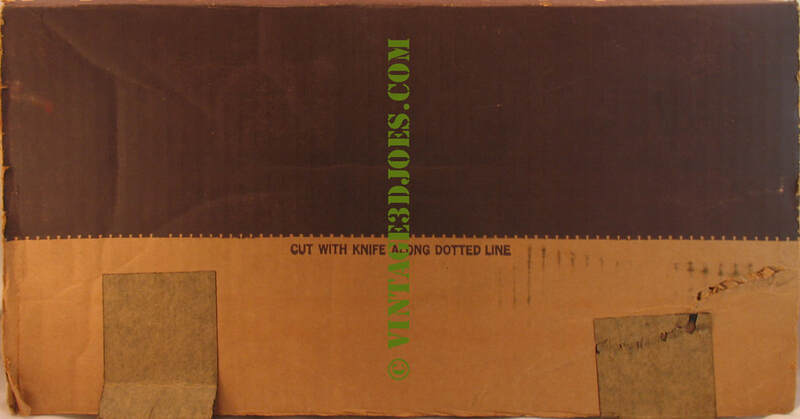 outer box, printed in dark brown on a standard corrugated box with a white interior. Note the instructions to cut the box to form the opening and roof. Key Container of Pawtucket manufactured the box. 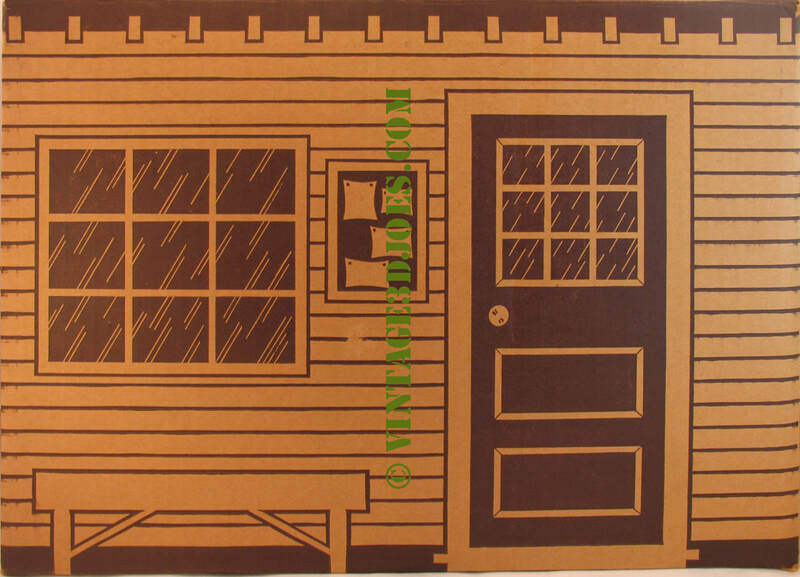 The contents were printed in color on lighter weight cardboard similar to that used for GI Joe window boxes. Accessory sheet one includes two stools, a locker, a foldable rifle rack, a high tech communications computer, maps, and the POW Stockade sign. Sheet two has barred and standard windows, a bulletin board, bookshelf, stool, bench, map, eye chart, and signs for barracks, field hospital, communications post, and general headquarters. 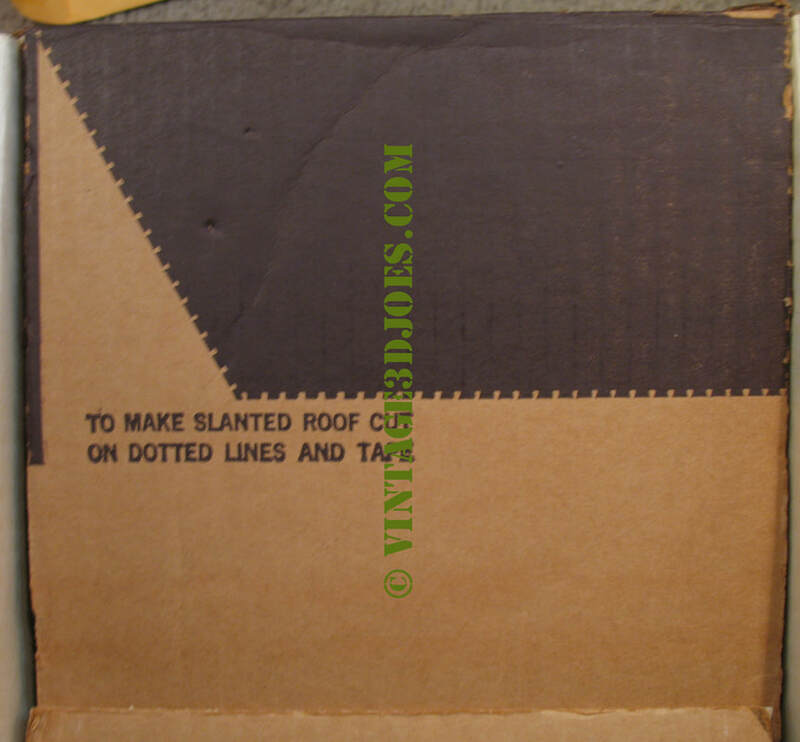 ​Collector Joe Iazzetta found a partial set that included the pins to right to attach items to the corrugated walls. These pins were also used in an item called the "Pixie Bow Maker" and as such are fairly easy to find. A subsequent find of a set verified that these were the correct pins. There were ten pins with that find, so the set included at least that many. Counting the cardboard items and the outer box, there are twenty three items present in this set, out of 'over 40' advertised in the Montgomery Wards catalog. 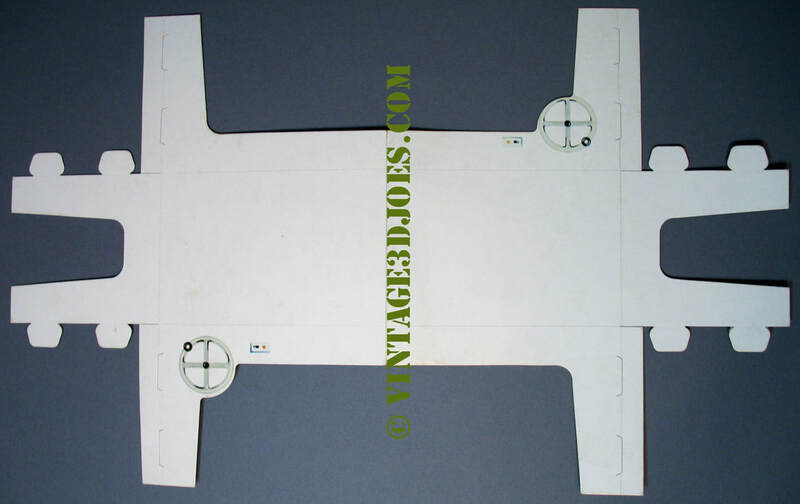 Using the instruction sheet, we know there were also plastic push pins to attach accessories to the walls. It can be guessed based on the catalog images and description that the set included a bunk bed, duffel bag, rifle, stretcher, crutches, i.v. and bandages, field phone, map case with map, and radio. That would add up to over thirty pieces total. Whether Hasbro was counting the individual parts of items to raise the item count (i.e., the bunk bed is made of seven parts, or they may have counted individual push pins) is unclear. Above and left, the accessory bag that was found with a set in Rhode Island. 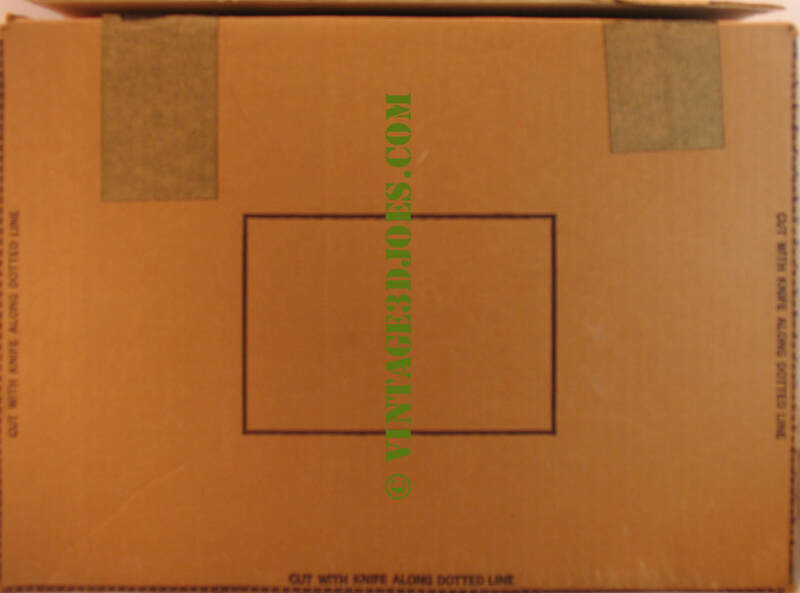 It was already opened, but is the correct length and size for the accessories and box, and is of similar material and font as other Hasbro bags.